To answer these questions and avoid improper disposal problems, it's important to understand how chemotherapy waste is classified, segregated, and ultimately regulated. Chemotherapy agents are classified as hazardous waste, which means they are dangerous wastes, but not considered infectious to humans. You may be surprised to learn that sharps that have not been used also fall into this category, as they have the ability to puncture or harm the user. Chemicals such as solvents, lead in paint, and thermometer mercury are in this category as well. In addition to federal regulations, chemotherapy waste disposal must be managed with your local and state requirements in mind. The Federal Resource Conservation and Recovery Act, or RCRA, categorizes 9 chemotherapy drugs as listed hazardous waste pharmaceuticals, or HWP. (keep in mind that new products may be introduced at any time). There are two types of chemotherapy waste: trace and bulk. Trace chemotherapy waste includes any item contaminated with residual amounts of chemotherapy drugs. Examples are IV bags and tubing, drug dispensing devices, and empty drug bottles. It also includes all gloves, masks, goggles, gowns, and other disposable items used while chemotherapy drugs are administered (provided chemotherapy drugs have not dripped, spilled, or leaked on them). Bulk chemotherapy waste is defined as "any waste contaminated with more than residual amounts of chemotherapy drugs." IV bags that are not completely empty, gowns or gloves that have chemotherapy drugs spilled on them, drug dispensing devices, and spill cleanup materials all fall into the bulk chemotherapy waste category. Finally, chemotherapy drugs that can’t be returned to the manufacturer, can no longer be used, or cannot be donated to a cancer drug repository program are also considered waste. 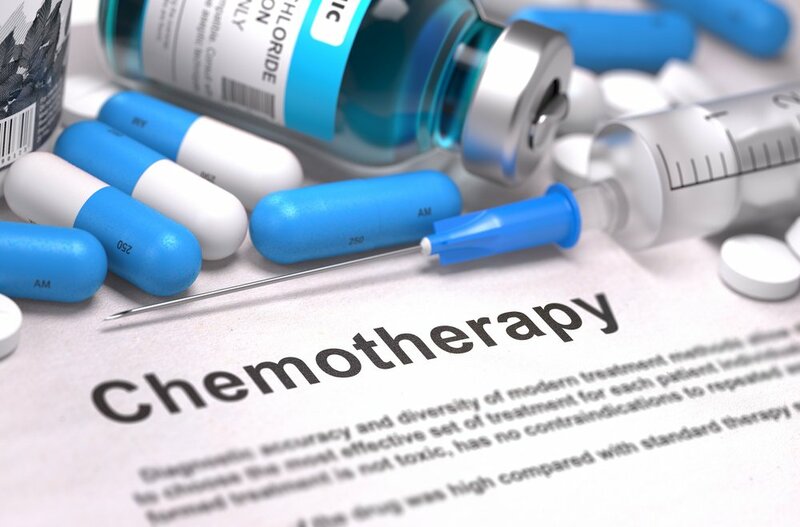 How should you manage chemotherapy wastes? If a U-listed or non-listed chemotherapy drug container is empty and less than 3% of the original weight remains, it's considered a trace amount and should be tossed in a trace chemotherapy waste receptacle and labeled for incineration. Typical chemo drug containers are syringes, empty IV bags, and medication vials or bottles. If more than 3% of the original weight remains, it's considered bulk waste and should be disposed of in a black pharmaceutical waste container which an EPA-permitted transporter then conveys to an authorized treatment facility to be properly managed as hazardous waste. Alabama has a comprehensive medical waste program that’s implemented and governed by the Alabama Department of Environmental Management. Tennessee’s hazardous waste management for healthcare facilities program closely mirrors federal hazardous waste requirements as set forth by the EPA. Whether you manage a clinic, veterinary hospital, medical research laboratory, or other facility that produces chemotherapy waste, you are responsible to check not only federal laws, but state laws as well. Proper waste segregation is crucial to maintaining compliance at your facility while decreasing exposure to staff, your organization, and the environment. To ensure proper segregation at your facility, employees and staff should be educated on how to properly dispose of chemotherapy wastes. Understandably, keeping track of what waste goes where isn't easy. Working with a chemotherapy waste expert ensures your facility operates under a program that is both safe and compliant.